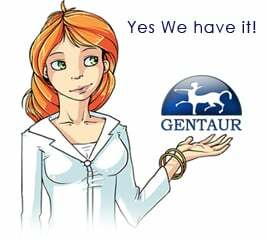 Gentaur antibody-antibodies.com The Marketplace for Antibodies : Essential role for Mnk kinases in type II interferon (IFNgamma) signaling and its suppressive effects on normal hematopoiesis. Essential role for Mnk kinases in type II interferon (IFNgamma) signaling and its suppressive effects on normal hematopoiesis. IFNγ exhibits potent antitumor effects and plays important roles in the innate immunity against cancer. However, the mechanisms accounting for the antiproliferative effects of IFNγ still remain to be elucidated. We examined the role of Mnk1 (MAPK-interacting protein kinase 1) in IFNγ signaling. Our data demonstrate that IFNγ treatment of sensitive cells results in engagement of Mnk1, activation of its kinase domain, and downstream phosphorylation of the cap-binding protein eIF4E on Ser-209. Such engagement of Mnk1 plays an important role in IFNγ-induced IRF-1 (IFN regulatory factor 1) gene mRNA translation/protein expression and is essential for generation of antiproliferative responses. In studies aimed to determine the role of Mnk1 in the induction of the suppressive effects of IFNs on primitive hematopoietic progenitors, we found that siRNA-mediated Mnk1/2 knockdown results in partial reversal of the suppressive effects of IFNγ on human CD34+-derived myeloid (CFU-GM) and erythroid (BFU-E) progenitors. These findings establish a key role for the Mnk/eIF4E pathway in the regulatory effects of IFNγ on normal hematopoiesis and identify Mnk kinases as important elements in the control of IFNγ-inducible ISG mRNA translation.